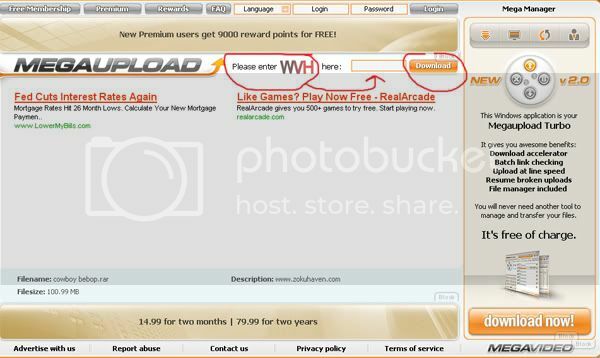 Megaupload is little harder to download from but we will help you! In the first circle to the left, it will show you 3 letters you got to type in where the arrow is pointing at. Type those 3 letters there and then press download. Then here comes the boring part >.> have to wait for 45-40 sounds...do something else for 45 seconds. After the boring 45 seconds, an download button well appear then press that download button that I circle then a pop up box will appear and "save as" on your desktop or anywhere in your computer.